Updated: 5:07 p.m. | Posted: 2:27 p.m. 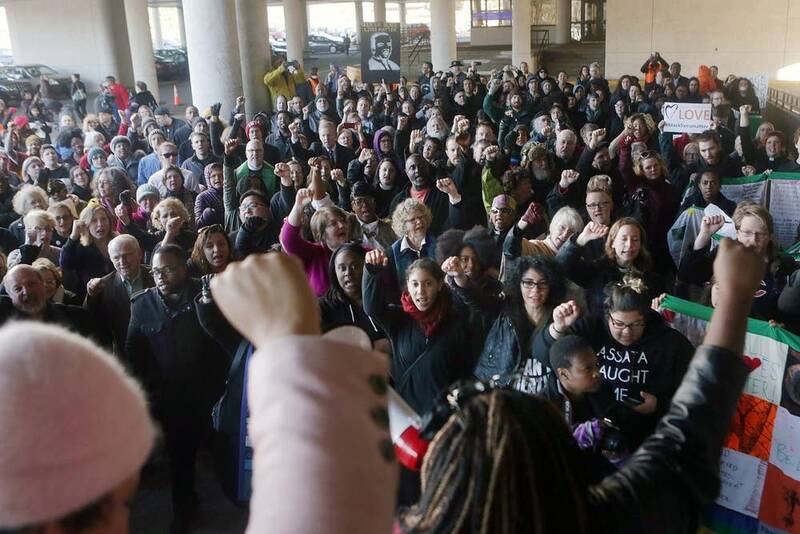 Hundreds of people protested outside the Hennepin County district courthouse today as 10 participants in a December demonstration at the Mall of America made their first court appearance. 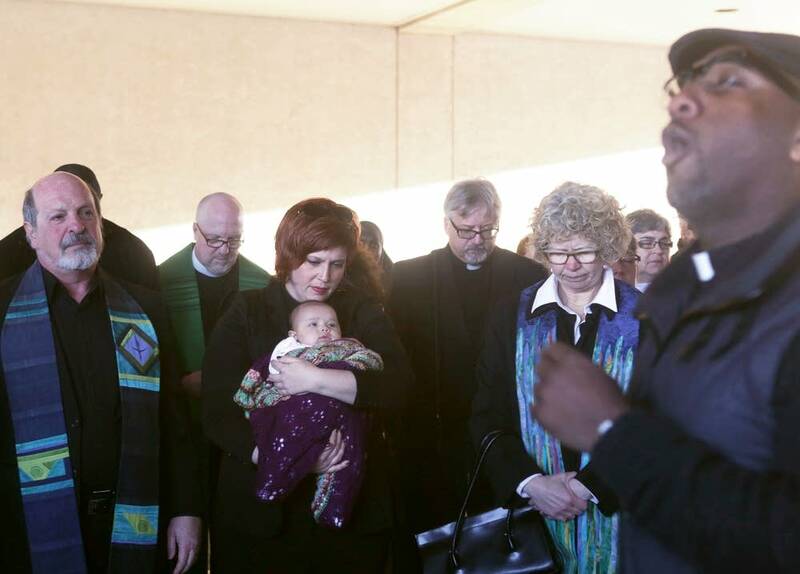 Bloomington City Attorney Sandra Johnson charged 11 people, among them organizers of the Mall of America demonstration, with misdemeanors that include trespassing, disorderly conduct and unlawful assembly. All have pleaded not guilty to the charges. The Dec. 20 demonstration by Black Lives Matter Minneapolis drew more than 1,500 people to a display of solidarity that joined a wave of demonstrations across the nation. The Mall of America responded by shutting down a section of the building to customers. Johnson has said some demonstrators face thousands of dollars in fines and restitution for extra security at the mall. Mica Grimm, one of the organizers facing charges, said the penalty is oppressive. "That would literally impede on people's rights to peacefully assemble, to protest," Grimm said. "You cannot charge protesters for police they didn't ask for. That would keep people at home from protesting about things that we care about, that they care about. And America was built off the foundation of protest." Members of Black Lives Matter say the charges are politically motivated. They've called on Johnson to drop the case. Johnson, however, said her office has filed similar charges against other people who have protested at the mall. "If I were to dismiss these charges, I would be exercising favoritism on this group, for this group over other groups," she said. "And I can't do that." Demonstrators also say emails from the city of Bloomington made public this week show that Johnson and mall officials unfairly targeted the Black Lives Matter protesters. Johnson denied that. She said the discussions revealed in the emails are ones her office would have with any victim seeking restitution. If the mall seeks restitution and the defendants are unable to pay the amount, they would be able to perform some kind of community service, she said. 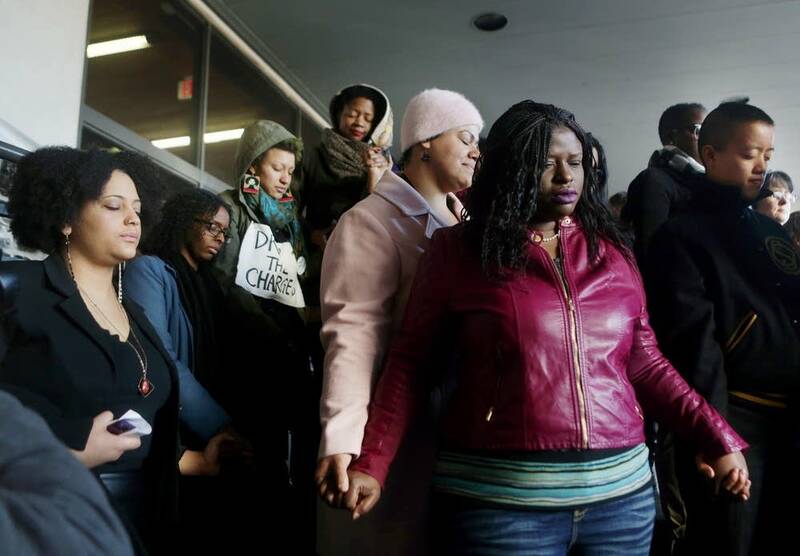 Protesters have accused Johnson's office of pursuing the cases in a "political prosecution." Johnson said that's not true. "I can't look at the content of the message behind the conduct," she said. "I look at the conduct and if it's illegal, and they were warned in this case — they were given an alternative forum in this case — they knowingly and willingly broke the law." Another court hearing is set for May 1.